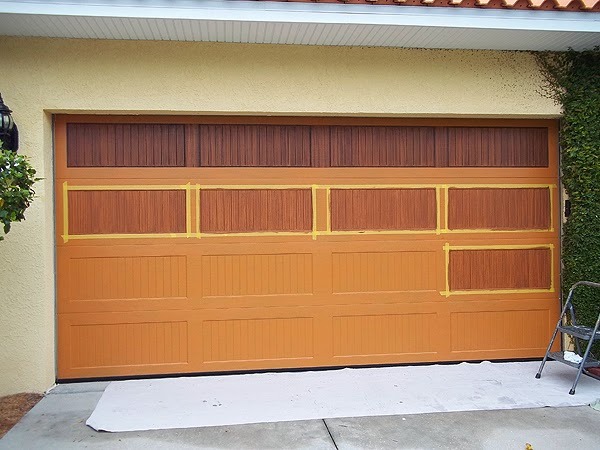 This past week I have been working on painting two garage doors to look like wood. 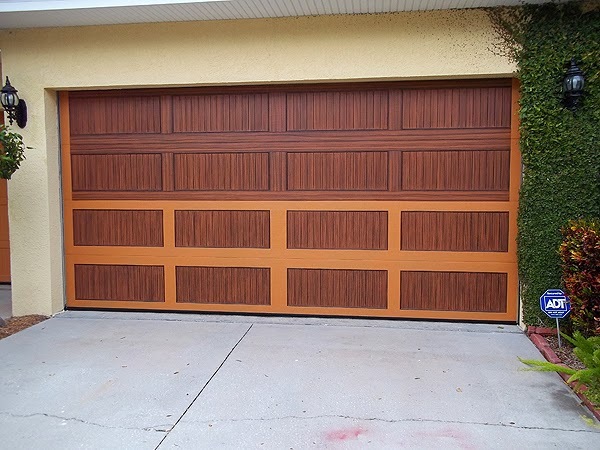 I created the wood grain look on the bigger door, a two car garage door and this week I will be working on the single car garage door. 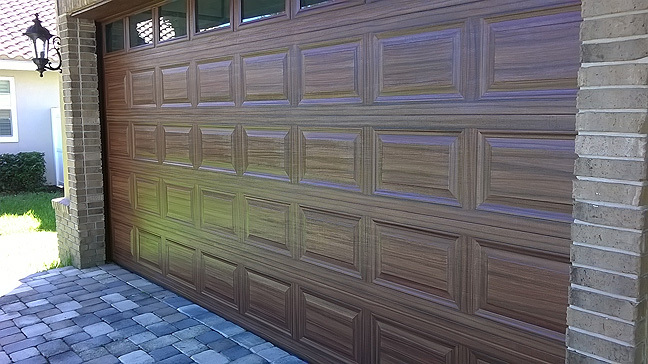 The first photo is of the completed two car garage door. 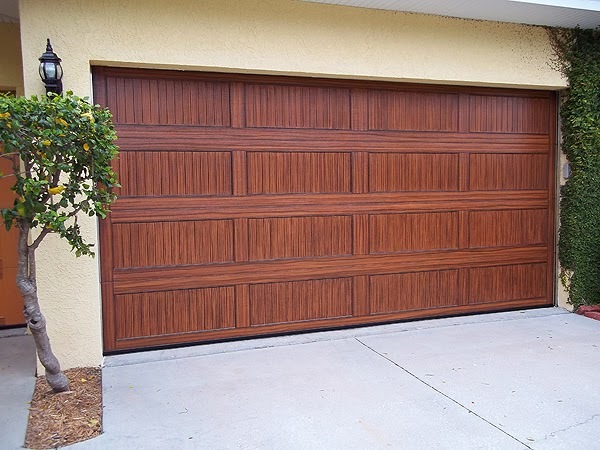 I really like this style of door with the individual panels containing 15 vertical planks each. In the next photo you can see the colorful base coat of paint I applied first. 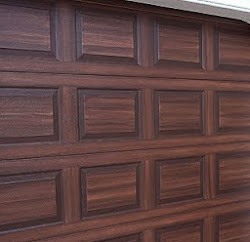 I used this color because I wanted the underlying wood tone of the door to be compatible with the color of the roof tile. You can kinda see that in the upper right of the photo but this week I'll get a better shot of that. I always try to work from the top down so you can see how it progresses here in the next photo. 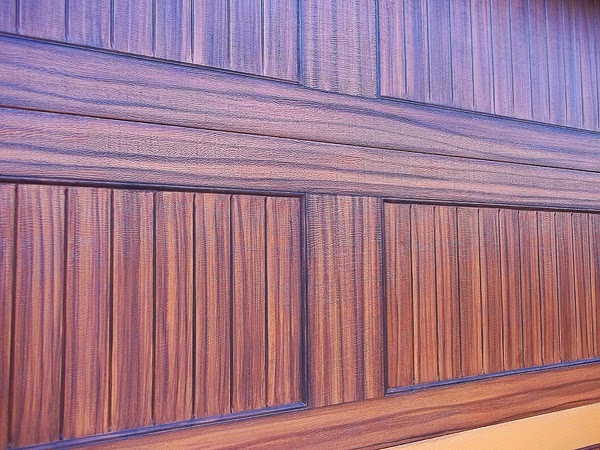 This last photo is a close up showing how I have painted a vertical grain pattern on the individual vertical planks of each panel on the garage door. There is a small beveled edge that goes around the panels. You can see how I have painted those very dark along with the 'V' groove between each vertical plank.